Big Data Systems, Data Streaming Systems, Database Management Systems, and Spatiotemporal Databases. 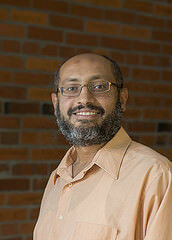 Mohamed Ali is an associate professor at the Institute of Technology, University of Washington, Tacoma. Mohamed’s research interests include the processing, analysis and visual- ization of data streams with geographic and spatial informa- tion. For the past decade, Mohamed has been building commercial spatiotemporal data streaming systems to cope with the emerging Big Data requirements. In 2006, Mohamed and his colleagues at the database group at Microsoft Research ramped up the Complex Event Detection and Response (CEDR) project. Then, Mohamed joined the SQL Server group at Microsoft to productize the CEDR project. CEDR has shipped and brand-named as Microsoft StreamInsight. 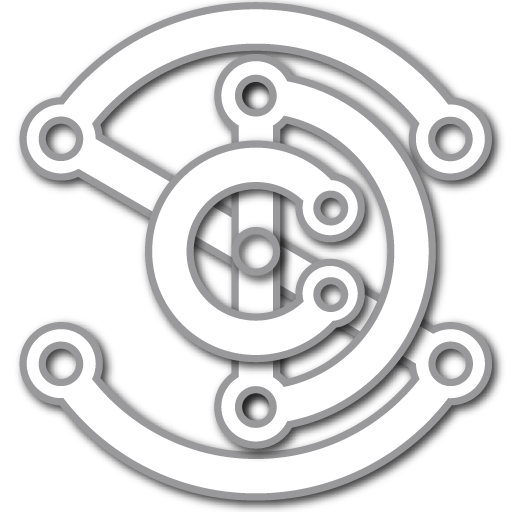 Since the first public release of StreamInsight, Mohamed has been advocating for real-time spatiotemporal data management everywhere; that is the use of StreamInsight in monitoring, managing and mining real time geospatial information across a diversity of verticals. These verticals include but are not limited to: online advertising, behavioral targeting, business intelligence, computational finance, traffic management, social networking, homeland security, emergency and crisis management. In 2011, Mohamed started another journey at Microsoft Bing Maps where he became at the frontline with the Big Data challenge and where he battled various types of spatial search queries. In 2014, Mohamed joined the University of Washington, Tacoma where he leads the geospatial data science team at the Center for Data Science. Abdeltawab Hendawi, Amruta Khot, Aqeel Rustum, Anas Basalamah, Ankur Teredesai and Mohamed Ali, A Map-Matching Aware Framework for Road Network Compression, the International Conference on Mobile Data Management (MDM), 2015 (Best Demo Award). Abdeltawab Hendawi, Mohamed Ali and Mohamed Mokbel, A Framework for Spatial Predictive Query Processing and Visualization, the International Conference on Mobile Data Management (MDM), 2015 (Best Demo Award). Abdeltawab M. Hendawi, Jie Bao, Mohamed F. Mokbel, Mohamed Ali, Predictive Tree: An Efficient Index for Predictive Queries on Road Networks, in the International Conference on Data Engineering (ICDE), Seoul, Korea, April, 2015. Abdeltawab Hendawi, Mohamed Ali, Spatial Predictive Queries (Tutorial), the International Conference on Mobile Data Management (MDM), 2015. Abdeltawab Hendawi, Amruta Khot, Aqeel Rustum, Anas Basalamah, Ankur Teredesai and Mohamed Ali, COMA: Road Network Compression for Map Matching, the International Conference on Mobile Data Management (MDM), 2015. Mohamed Ali, Abdeltawab M. Hendawi, Ankur Teredesai, Predictive Spatial Search, in the Spatial Search Specialist Meeting, Santa Barbara, December 8-9, 2014. Abdeltawab M Hendawi, David Hazel, Joel Larson, YiRu Li, Dwaine Trummert, Mohamed Ali, Ankur Teredesai, AMADEUS: A System for Monitoring Water Quality Parameters and Predicting Contaminant Paths, in the 7th International Congress on Environmental Modelling and Software (iEMSs), San Diego, California, USA June 15-19, 2014. Yiru Li, Sarah George, Craig Apfelbeck, Abdeltawab Hendawi, David Hazel, Ankur Teredesai, Mohamed Ali, Routing Service With Real World Severe Weather, in the ACM SIGSPATIAL International Conference on Advances in Geographic Information Systems (ACM SIGSPATIAL 2014) November 4-7, 2014 — Dallas, Texas, USA (Best Demo Award). Mohammed Daubal, Olajumoke Fajinmi, Lars Jangaard, Niko Simonson, Brett Yasutake, Joe Newell, and Mohamed Ali, Safe Step: A Real-time GPS Tracking and Analysis System for Criminal Activities using Ankle Bracelets. In Proceedings of the ACM SIGSPATIAL International Conference on Advances in Geographic Information Systems (ACM SIGSPATIAL GIS), Orlando, FL, USA, November 2013. Yasin N. Silva, Walid G. Aref, Per-Ake Larson, Spencer S. Pearson, and Mohamed H. Ali, Similarity Queries: Their Conceptual Evaluation, Transformations, and Processing. VLDB Journal, 22(3): 395-420, 2013. Siva Ravada, Mohamed Ali, Jie Bao, Mohamed Sarwat, The ACM SIGSPATIAL GIS Cup 2013 – Geofencing. In Proceedings of the ACM SIGSPATIAL International Conference on Advances in Geographic Information Systems (ACM SIGSPATIAL GIS), Orlando, FL, USA, November 2013. Mohamed Ali, Travis Rautman, John Krumm, Ankur Teredesai, The ACM SIGSPATIAL GIS Cup 2012 – Map Matching. In Proceedings of the ACM SIGSPATIAL International Conference on Advances in Geographic Information Systems (ACM SIGSPATIAL GIS), Redondo Beach, CA, USA, November 2012. Mohamed H. Ali, Ashish Bindra, and Ankur Teredesai, Dimensionality Reduction in Phenomenon-Aware Stream Query Processing. International Journal of Data Engineering, 3(3), 2012. Mohamed Ali, Badrish Chandramouli, Jonathan Fay, Curtis Wong, Steven Drucker, and Balan Sethu Raman, Online Visualization of Geospatial Stream Data using the WorldWide Telescope. In Proceedings of the International Conference on Very Large Data Bases (VLDB), Seattle, Sept. 2011. Mohamed Ali, Badrish Chandramouli, Jonathan Goldstein, and Roman Schindlauer, The Extensibility Framework in Microsoft StreamInsight. In Proceedings of the International Conference on Data Engineering (ICDE),Hannover, Germany, April 2011. Yasin Silva, Walid Aref, and Mohamed H. Ali, The Similarity Join DataBase Operator. In Proceedings of the International Conference on Data Engineering (ICDE), Long Beach, California, USA, March 2010. Alex Raizman, Asvin Ananthanarayan, Anton Kirilov, Badrish Chandramouli, and Mohamed Ali, An Extensible Test Framework for the SQL Server StreamInsight Query Processor. Third International Workshop on Testing Database Systems (DBTest), Co-located with ACM SIGMOD, Indianapolis, IN, June 2010 (Best Paper Award). B. Chandramouli, Mohamed Ali, Jonathan Goldstein, Beysim Sezgin, and Balan S. Raman, Data Stream Management Systems for Computational Finance. Technical Report, MSR-TR-2010-130, Microsoft Research, Sept. 2010. Mohamed Ali, Badrish Chandramouli, Balan S. Raman, and Ed Katibah, Real-Time Spatio-Temporal Analytics using Microsoft StreamInsight. In Proceedings of the ACM SIGSPATIAL International Conference on Advances in Geographic Information Systems (ACM SIGSPATIAL GIS) San Jose, CA, USA, November 2010. Badrish Chandramouli, Mohamed Ali, Jonathan Goldstein, Beysim Sezgin, and Balan S. Raman, Data Stream Management Systems for Computational Finance. IEEE Computer (12): 45-52 (2010). Mohamed H. Ali, Badrish Chandramouli, Balan Raman, and Ed Katibah, Spatio-Temporal Stream Processing in Microsoft StreamInsight. IEEE Data Eng. Bull. 33(2): 69-74 (2010).